Free, highest quality nourishment (vitamins, minerals, plant constituents) - readily available for you - maybe even in your backyard! Stinging Nettle (Urtica dioica) makes a lovely tea - and it’s vitamin and mineral composition is off the charts - it surpasses spinach and many other vegetables in its nutrient content. This is the essence of local food - wildcraft it in your own backyard or nearby in a wild area that is not sprayed or polluted. Some campers feel like Stinging Nettles is a nuisance because the minute hairs inject irritants when touched. To deactivate the sting just dry the herb or cook it into a tea (you can actually make lasagna with it too and other such preparations - just like how you would use spinach). Fold the nettle leaf into itself and crush it to deactivate the sting. Harvest it with gloves on. It is most tender to eat in early spring and then also easiest to harvest. ~ This infusion will keep in the fridge for 3-4 days. It will keep out on the counter for several hours... herbs are very amazing that way since so many of them have lots of natural anti-microbial and anti-bacterial actions built in. Sip your strong tea throughout the day for nourishment. 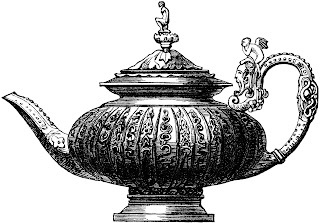 It is an excellent daily ritual to make your nourishing infusion each morning and then drink it later in the afternoon - or the night before and then drink it the following morning. This is a strong tasting brew - mostly tasting pretty “green”. You can add other herbs to tweak the flavor and medicinal action. Supplements can be helpful - kind of like a natural temporary “prescription”, but for ongoing health what better way to nourish yourself than to connect with nature, harvest for yourself and your family, drink your vitamins from wild plants. It is affordable, sustainable and no pill or supplement can compare with the freshness and bio-availability. Midwives of old used to go to a home to care for a patient and bring almost nothing with them in their medicine bag. They would assess their patient and gather what was needed in the yard of the person they were visiting! If we can wake up to what is right around us... oh the riches!!! 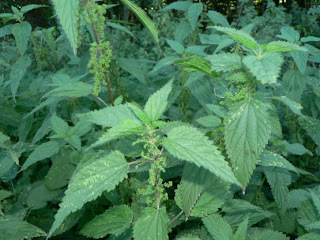 Take a nature hike, explore and find a stand of stinging nettles (hint: it grows well near horse pastures/fencing), make your own “drinkable vitamins” and observe for yourself how your health is affected. Know for sure what a plant is before you harvest it and consume it - bring a good field guide or a more experienced herbal enthusiast with you on your hike. Stinging nettles is a perennial so once you find a stand of it you can go back and find it each year - just be sure to harvest ethically (just take what you will use and wisely pick leaves so it can grow back each year and the plants can stay healthy). Finding the plant with the sting will be confirming that you have found what you were looking for! For myself drinking a nourishing infusion with nettles in it has been a wonderful improvement on overall well-being and really lowered my seasonal allergy flare-ups. I"ve heard a lot of really good things about stinging nettle but have yet to try it. Maybe it's time. Does stinging nettle really work I have never heard of it before. Stinging Nettles is a nutriative food - kind of like a spinach in the herb world. Occasionally people have a sensitivity to an herb, but for many Nettles would be a wonderful addition to their diet (in teas and cooked into dishes).